Sony Simon Live. Love. Learn. 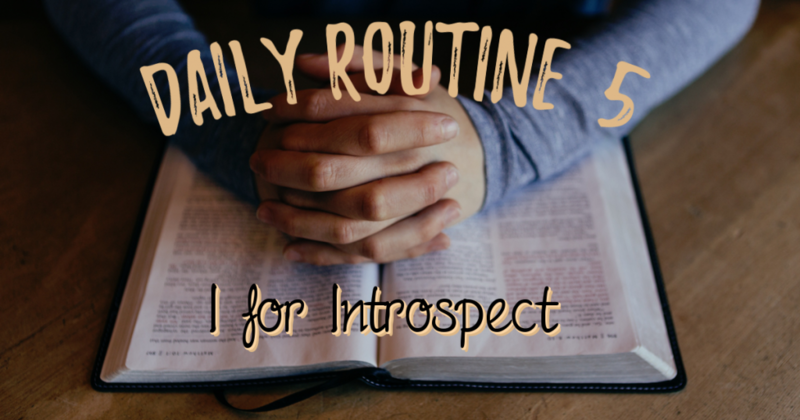 In yesterday’s post, I wrote about how I am slowly building up the acronym ROUTINE with my daily routine posts – Review, Organise, Update, Time with Me and now on to I. I emphasised in my last post that my “Me Time” was one of the routines that kept me resilient and smiling. Here is another one. This is a routine I have been on and off for a while now. Every day I spend some time in prayer and journaling. Unlike my Goal Review routine, this is not about what I have or want. This is all about what I feel and I can bring in more positivity. Recently I shared about how much Prayer helps. I have seen some tough things in my life. And now I vouch by the power of prayer. My faith gives me courage. Counting my blessings gives me hope. Self-submission gives me guidance. I am not as routine with journaling as I would like to be. If I can manage some quality time in, I do a proper 30 minutes journaling. But otherwise, it is a quick 5 minutes about my emotions. I can see the value of the whole 30 minutes because sometimes with just 5 minutes it can be very superficial. Journaling helps me understand what I feel about what is happening. I come across as a very emotional person, but I really struggle with identifying what I feel. But this process has helped me reconnect with me. I wake up for my prayer and journaling before my husband is out of bed. The house is warm, quiet and just ideal. I used to do this in my bedroom, but have recently shifted it down to the study so I don’t disturb my sleeping husband. Also, by the time I get to the study (one floor down) I already feel so refreshed. If I feel too overwhelmed to pray I start with listening to some devotional song reading the Bible. I have changed my journal quite a few times over the last 5 years. This year my husband got me an undated notebook while we were in the US. And that is what has clicked for me. If I use the computer then before I know it I am on YouTube watching cute puppies. 😉 But with a notebook, there are no such distractions. Also because it is un-dated I do not feel guilty of the empty pages nor worry about “rambling on”. Journaling is better done in the mornings for me. But if I want to write about something that is overwhelming me I do that at the end of the day, so it is out of my system straight away. That way I can have a healthy start with clarity the next day and not worry about any residual emotions during the course of the day. I will be back with two more aspects about my Daily Routine. These are the most difficult ones and I need your support. So stay tuned. 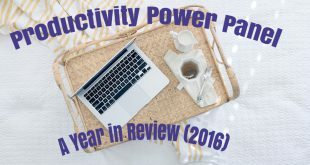 I attended the Productivity Power Panel last night and it was just brilliant! Anyone else interested on a mini-series on Inbox Zero? Enter your email address to subscribe to my website. You will receive notifications of new articles by email.